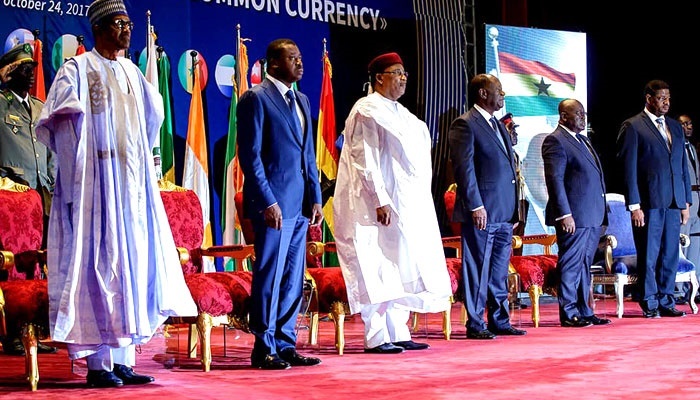 President Muhammadu Buhari is in Niamey, Niger Republic, for the 4th meeting of leaders of countries under the Economic Community of West African States on the proposed single currency for the region. 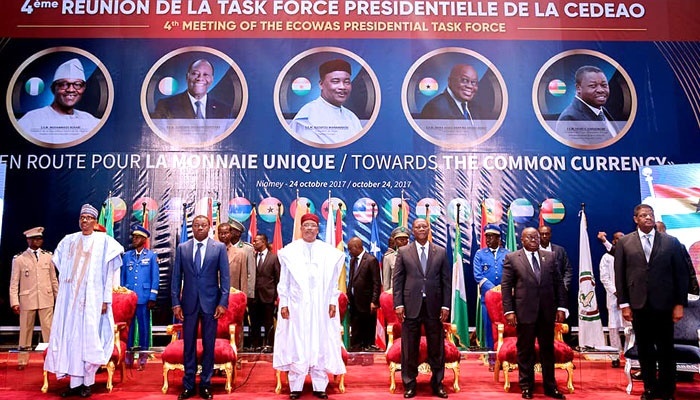 West African countries' leaders are in Niamey, Niger Republic, for talks on the proposed single currency for the Economic Community of West African States (ECOWAS). 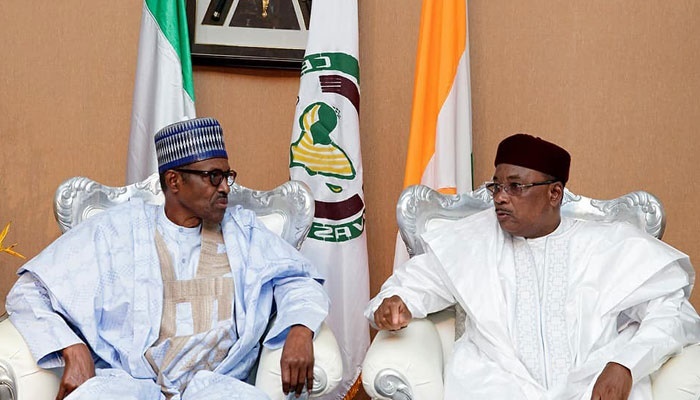 The Nigerian president, Mr Muhammadu Buhari, is at the meeting which is the 4th of the Presidential Task Force of ECOWAS. 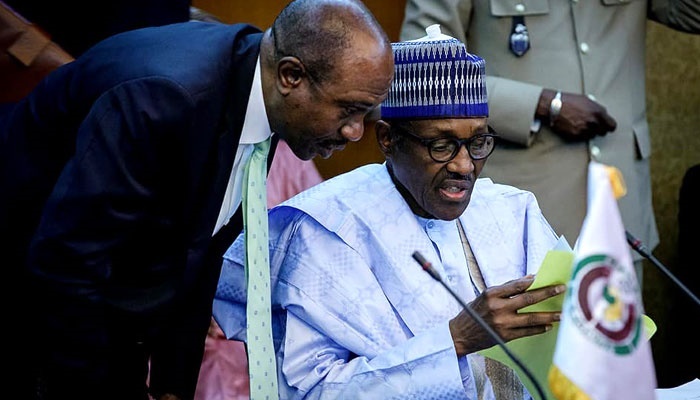 President Buhari travelled with some Nigerian delegates - the Governor of Central Bank, Mr Godwin Emefiele, Minister of Finance, Mrs Kemi Adeosun and other top government officials. The idea for a common tender for West African region was first proposed nearly 20 years ago, but the region is yet to reach a common ground on the currency. 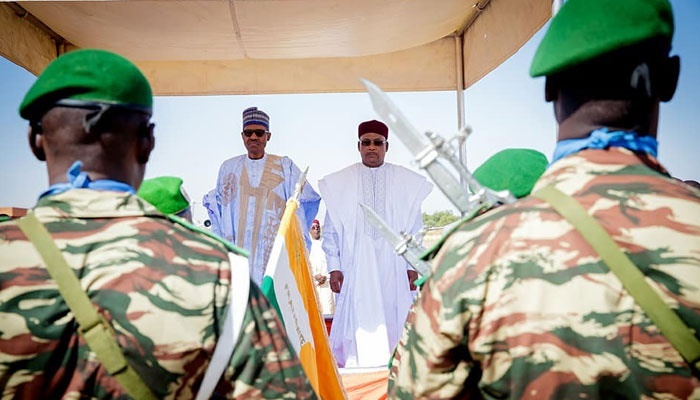 The decision was reached by the heads of state of 15 member countries at a summit of the ECOWAS, the region's economic commission, in Lome, Togo in 1999. Its achievement has been set for 2020, but the union is striving to overcome scepticism about the prospects of this coming to pass. The Eco is the proposed name for the common currency that the West African Monetary Zone (WAMZ) plans to introduce in the framework of ECOWAS. The proposed date for introduction has been shifted at least 4 times before and this has posed questions about how much willing the leaders are to push for the actualisation of the currency. Will 2020 see the introduction of the currency?